We are a professional acting agency seeking actors and musical theatre performers for professional paid acting jobs. We work with leading casting directors, producers and directors and place our actors in leading blockbuster feature films, major TV series, commercials and high quality theatre. Our musical theatre performers work in the west end, in touring musicals and on cruise ships. 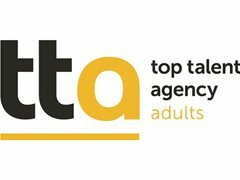 If you are looking for an agent to help your career reach the next level please apply now. We will be holding auditions and meetings in London later this year. There is no fee to attend these auditions. When you apply please let us know whether you are an actor or musical theatre performer (or maybe you are both?). Actors of any ethnicity or heritage required. You must be based anywhere in the UK - we look after actors from all over the UK.